What is there to look forward to with Rays? The spring is for the dreamers and the poets, the wishful and the hopeful. It's a time to fantasize, to project and to imagine your baseball team as an essential one. It is a time for writing down possible lineups. It's a time when shortstops don't make errors and your left-fielder hits more than the other guy's. It's a time to envision winning all of the close ones. But what do you do when when all you can see are detours? in spring training. Three times, the Rays have lost 100-plus games. They've said goodbye to star players. They've seen a brief run of success fade into more time in fifth place. And you wonder: Is this the least anticipated season in Tampa Bay Rays history? Certainly, it seems to be shaping up that way. Evan Longoria is gone. Jake Odorizzi has been given away. 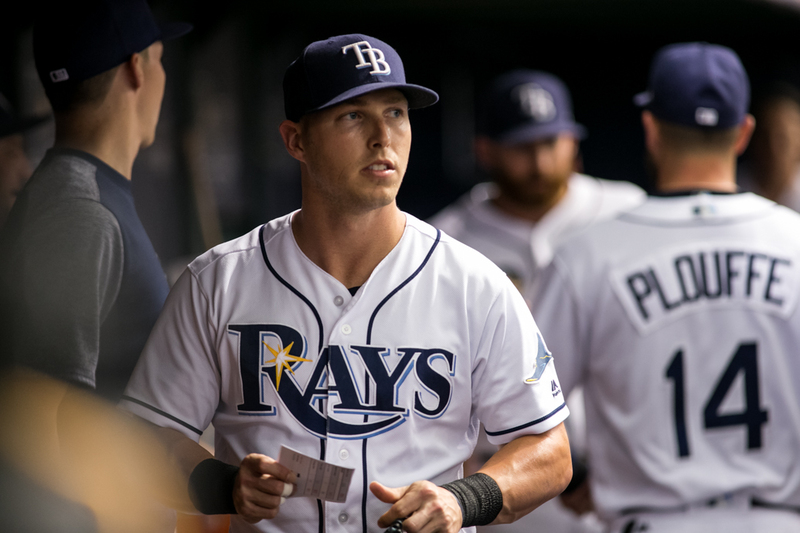 Corey Dickerson, last year's all-star, has been dumped. There is little to base any hope upon. This weekend is the perfect weekend for the Rays. They signed C.J. Cron, largely because he's cheaper than Dickerson, who they then designated for assignment. They traded Odorozzi for the Twins' 27th rated prospect. Hey, I get it. Odorizzi wasn't good last season, and Dickerson's swing still reminds you of the Hulk trying to swat a mosquito. He spent the second half of last season watching his average fall off a cliff. But they were players who had some moments. Look at the remining roster. How many moments do you see? Even now, you cannot trust the roster, particularly the part of it that makes any salary to speak of. You cannot believe in outside acquisitions. The farm system is a series of broken promises. If this team is going to contend for a title, it will be one in AAA. It has not always been that way. Even in the terrible seasons, there seemed to be something to look forward to. A free agent. A pitching staff. Longoria. Price. Zobrist. Boggs. Something. These days, however, how can you even count on anyone to stay? Kiermaier, maybe. He seems untouchable. But the internet is filled with rumors about Chris Archer and Alex Colome and Adeiny Hechavarria. The fire sale continues, and I don't see a lot of stars in the in basket. Look, the Rays have had some truly awful seasons. This is going to be better than most of those. But that doesn't mean that there is an eagerness to shout "play ball." In 1998, the team was shiny and new. It drew 2.5 million, still the most it has ever drawn. But it was baseball, and the sellouts began ... and lasted one day. In 1999, the team drafted Josh Hamilton, who would become a star. Sadly, it wouldn't happen here. Still, there was Wade Boggs, who was sneaking up on 3,000 hits. Jose Canseco joined the team. In 2000, the Rays were convinced that fans would come out to see home runs, and they put together the hit show. It missed. In 2001, the Rays brought manager Larry Rothschild back, but he was gone after 14 games. John McHale came into run the franchise. Things turned hard in 2002. The team lost 206 games in two years, it's worst-ever mark. Still, the Rays started the 2002 season by sweeping Detroit, giving room for some early optimism. In 2003, Lou Piniella came home, giving the Rays a proven winner at manager. In 2005, after five years in the basement, Piniella guaranteed the Rays wouldn't finish last. General manager Chuck LaMar immediately tried to caution the media after creating lofty goals. The Rays finished fourth. Yay. In 2006, Stu Sternberg took over for Vince Naimoli. Andrew Friedman took over as general manager and Joe Madden as manager. In 2007, the Rays were still losing. But the formation of an impressive starting rotation was in play. In 2008, there wasn't that much anticipation to the season. But the Rays went all the way to the World Series. In 2009, more success was anticipated, but the team won 13 fewer games. In 2010, the Rays rebounded as David Price became a star. In 2011, there was rookie pitcher Jeremy Hellickson, who went on to be rookie of the year. Hellickson's success didn't last, but he was excellent early. In 2012, there was Price, who would win the Cy Young. Madden was coning off his second Manager of the Year award. In 2013, there was the trade for Wil Myers, who would become Rookie of the Year. But the Rays didn't like his attitude, and he was quickly gone. In 2014, the Rays still had Maddon, and they had made four of six post-seasons. In 2015, the Rays had a new manager in Kevin Cash for all of those who thought Joe Maddon's voice had become to lose listeners. In 2016, the Rays had a lot of arms. In 2017, the Rays had a lot of bats. In other words, there has usually been a reason to believe. But this year? It looks like the start of a dark journey. In New York, they look forward to baseball. In Boston. In Houston. Here? Not so much. It looks like a franchise being stripped for parts. Yeah, the beer is still cold, and it's the closest thing to legit baseball you'll get. The team will tell you that it expects to win. Someone has to, I suppose. The rest of us? We're struggling. The Rays have a business plan alright but it doesn’t involve building a winning team. Who knows what Sternberg and MLB have in store for this franchise. Sale of the team, relocation, contraction? Everything is on the table. Once the Tampa stadium proposal dies due to lack of financing we will soon find out. Until then expect to see a lot more of what occurred Saturday night. It’s unfortunate and painful for fans. The Rays had some great moments in the Madden / Friedman years. That’s history now. I understand how you feel. I think winning could certainly be more of a priority. I’m not prepared to say that they aren’t interested in a winning team, but they’re interested only in their approach to it, which doesn’t involve spending with anyone. I, too, wonder about the the future of the franchise. Is the team spinning its wheels until moving is affordable. It is playing the long con? We agree that it’s unfortunate and painful that Rays fans have to go through this. I wouldn’t slam the door on the chances of a recurrence, but I wouldn’t invest my money, either. It sure feels like the long con doesn’t it? Sternberg is a shrewd business man and he is going to maximize his profits no matter what it takes. He spends very little time here and it’s no wonder with the growing unpopularity of his business decisions. He tells his management team to cut payroll and they have no choice. They do what they can with very limited money resources but it’s never going to be enough to compete in this sport of mega, big time spenders. To be fair, in the beginning the Rays only projected they would be as high as halfway in MLB. Bill Bunker, on the original pursuers of the franchise, told me that. Because of baseball’s inequible salary structure, the Rays have less of a chance of winning than most teams (Minnesota and Oakland are in the same boat). That means everything has to go right for there even to be a chance. No argument there. I understand. Any owner seeking a new stadium, and moving his team across the bay, is going to be unpoopular. 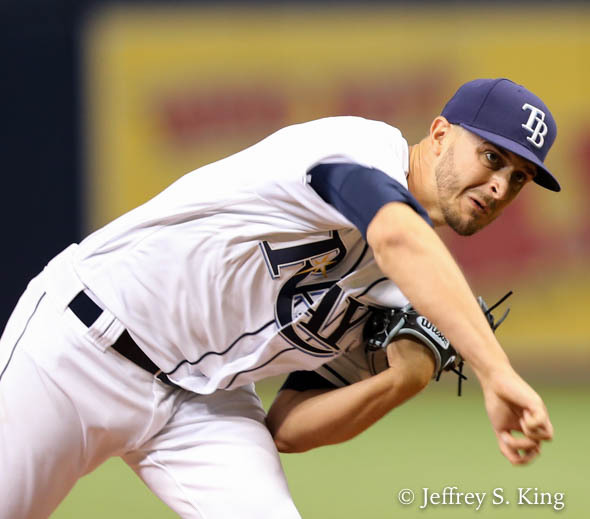 You can blame however much of the Rays’ struggles you wish on Sternberg. He’s the owner. But I think the major problem here is the scouting department and the minor league development staff. Still, there is room for enough blame to go around, isn’t there? If you look at the attendance, and the paltry TV money, it’s no wonder the team has to cut some corners. Given the poor decisions made by the baseball people and the player developers in the draft, there really isn’t much chance at success in the short term. That raises the question of what the team should do. Do they throw money away and win, maybe, 80 games, which wouldn’t get them into the playoffs. Sternberg has always said that he wants payroll to make sense over a five-year span. I don’t think they could spend enough to turn into a contender this year without throwing money away. Do you? Who really knows if the Rays could compete this year? They came a lot closer than anyone thought last year. If they hadn’t started the season with such an awful bullpen they just might have got that last wild card. For a team like the Rays that may be the best they will ever get. It’s a whole lot better than losing 90+ games for the next 5 years don’t you think? Here’s the thing Gary. If you aren’t able to spend at least $$90 – $100 million on payroll in today’s MLB, then get out. Sell the team. Give someone else a shot at it. I’m not talking about spending Yankee type money either. The Rays got creative and found a way to be competitive in 2008 – 2013. They need to reinvent themselves and do it again. Minnesota seems to be doing a much better job at finding ways to compete than the Rays at this point. Maybe the guy we just traded (I should say gave away) to them will help their team this year. How can they afford Odorizzi and the Rays can’t? I don’t have a problem with trading Odorizzi but can’t they get more back for him than they did? Same with Dickerson. I don’t agree with the theory of tanking for for high draft picks. As you said they don’t take advantage of those pics to draft and develop their own players anyway. Why is that? Is it another money issue in that they aren’t spending enough to hire talented people for that department? If they can’t fix that then they have no shot at all. Whatever they are doing there is not working. Both the Red Sox and Yankees have developed a lot more of their own talent than the Rays. I don’t have a problem with the team moving across the Bay. Why should anyone else? It hasn’t working in St Pete. Tampa could be better but the Rays need to do a lot more to make that work. If they are only going to sit back wait for the locals to hand them a state of the art stadium with very little investment of their own that’s a joke. The Rays are going in the wrong direction at the absolute worst time. How can they expect the public to support a new stadium when they are not giving us a product that provides good value for our money? That’s why I think this is a con game and it’s going to end badly for baseball in this area. All you have to do is look at the Lightning to see how it’s done. The Rays are the total opposite of that example at this point. Both the Rays and the Bucs have a history of dumping perfectly good players that move on to have success other teams! Then they try to make something out of nothing and can’t understand why the stands are getting more empty every year! Hey….great idea, let’s charge those fans more money to sit and watch the visiting teams win! No hope equals lack of interest all around! GO BOLTS!! Is it a business plan? It just may be a business plan Gary! I got to thinking and there are usually as many or more visitor fans in the stands so maybe the plan is to soak them a bit for the entertainment! New York, Boston, Chicago, Green Bay fans all like to show up to see our Tampa teams take a beating! Until our guys get better I will keep checking them out on the tube! It’s hard to blame anyone. These days, you only get a fraction more by being there. Sports has done a terrible job rewarding the fans could come. Stay home, you park for free, you eat out of your fridge and you go to the bathroom without waiting in line. You don’t have the traffic problems, and you don’t have to endure a bad fourth quarter. The view is better, and you aren’t in front of a drank who thinks he’s clever. (depending on your family). All in all, TV offers offers a much better package. Well, the Astros lost 416 games or so between 2011 & 2014, and three years later they are WS Champs, so hope springs eternal in sports and many other facets of life. Of course, I’m personally not hoping to match the Astros 416 losses in 4 years, but to me the worst thing would be to have a decade of losing seasons, almost .500, kind of competitive, a scrappy bunch of losers – and they’re on a string of 4 right now. Either get good quick – not going to happen I suspect – or get young and hope to develop some stars, because the alternative seems to be mediocrity, and to me, anyway, that is the worst place for a team – or a person – to reside. If the Rays are going to get good again, and it might not happen, it will happen when a decent farm system arrives with Honeywell, Adams, etc. Only chance they have. The Lightning compete in a league with a salary cap. That’s a different animal, I’m sure you’d agree. I sure hope the Rays can be better than we think. I have my doubts. I think small market teams in baseball have to build up to runs. Minnesota is at the top of their cycle now; it won’t last long, but Twins fans should enjoy it while it’s ere. Like you, I don’t have a problem with the Rays moving across the bay. I do have a problem with them moving to Montreal or Las Vegas. If Sternberg sells the team, rest assured someone will buy it to move it. Tampa Bay fans are between a rock and a hard place. As always. Next post: How good is the rotation of the Rays?